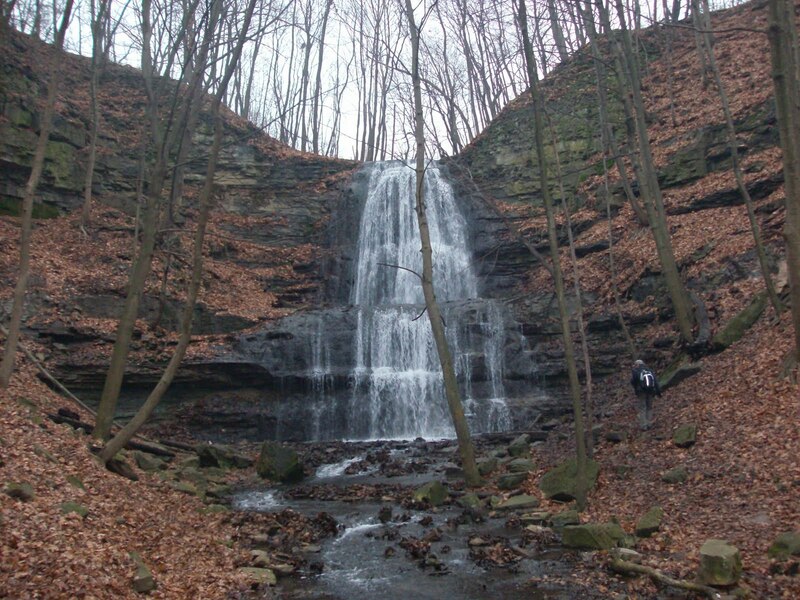 The Hamilton area is blessed with an abundance of easily accessible waterfalls and is host to many visitors through out the summer who come to take pictures and enjoy the natural beauty. Although visited by many in the summer months, these waterfalls become much less frequently visited in the fall and winter months. 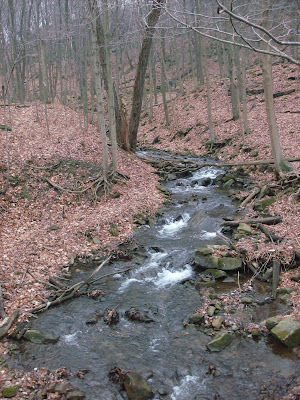 In my opinion, this becomes an ideal time to explore as the area takes on a whole different feel during these seasons. Taking advantage of a mild fall day, I recently headed out, with kids and dog in tow, to explore Ancasters Sherman Falls. Easy to get to, the trail starts right where Old Ancaster Road meets Lions Club Road in Ancaster and meanders over reasonable easy terrain for the short distance to the base of these falls. There is a wooden bridge that crosses the stream right near the base of the falls that presents a great vantage point for photo taking. Sherman Falls is a 17 metre multi tier waterfall surrounded by rugged limestone rock, mossy rock and natural forest. It is absolutely beautiful in the summer but in my opinion is great to visit all year. An easy day trip, consider Sherman Falls when looking for a place to day hike or to take amazing pictures.